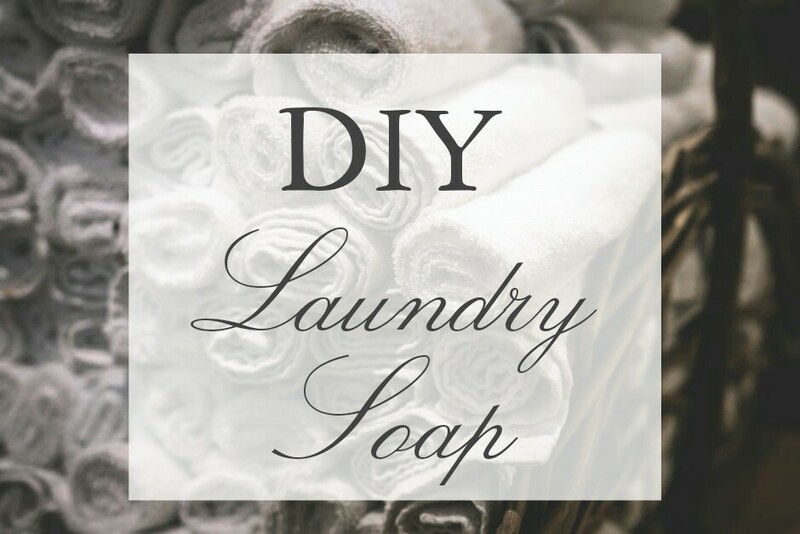 I found out about homemade laundry soap, aimed to last an entire YEAR for only $30, from YouTuber, LoveMeg. I love her channel and when I watched her video on homemade laundry soap I had to give it a try. I am all about pinching a penny so I put this $30 nonsense to the test! Turns out it wasn't nonsense at all! I ordered all my products online at Walmart. I try to only buy grocery items when I am shopping in town because Milo doesn't like to be out and about for to long. He is such a home body. This actually saved me in more than just trips out to the car. Not only has online shopping become the way I manage my home on the day to day, but it has also been saving me money with Walmart's new features. Free 2 day shipping and pick up/online discounts! You can't beat it. I have the full recipe and prices (that I paid at the time) listed below. Use only 1 Tablespoon per load! That's IT! With tax my total came out to $31.92. My recipe slightly differs from LoveMeg's but that's ok. I added in a little more oxy clean because if there is one thing babies and their clothes are not, it is stain resistant. I have been washing everything in my house for the past few days! I love the way this soap smells and even gets out old stains that were previously washed in. The real test was when Michael (Milo's dad) brought over a hamper full of his work clothes. Filthy, dirty, smelly, dusty, work clothes. Typically they still have an odor to them after using the All Free & Clear and even Tide Free & Clear. With this new homemade laundry soap the odors are gone and even his clothes came out cleaner! This is a magic powder and whether this soap lasts a year or not, I am not complaining. I have crossed over to the DIY darkside and don't think I'll be going back to pricey store bought brands anytime soon. If I can you can! It's even been great for my sons sensitive skin. I'm curious! I may have to try this when we run out. Does it work well with high efficiency machines? Sure does! I've been using it in mine and also seen many videos on the Tube where I noticed they have HE machines. This sounds great! I am always looking to cut costs in our house but still keep quality products. I will need to try this! How do you store it? I have been loving this. I store mine in a cute super large mason type jar I picked up on walmart.com and the excess in a plastic storage bin I keep in my linen closet. I have seen some people use glass cookie jars or even put the mixture back into the oxyclean bin. I noticed my linens smell great with storing the excess the that area. Towels, sheets, and blankets I don't use regularly still smell fresh after months of sitting. This is going to be so handy! 8' definitely going to try this out! I am so excited to try this! I've been looking for a good and easy recipe to replace traditional soaps!